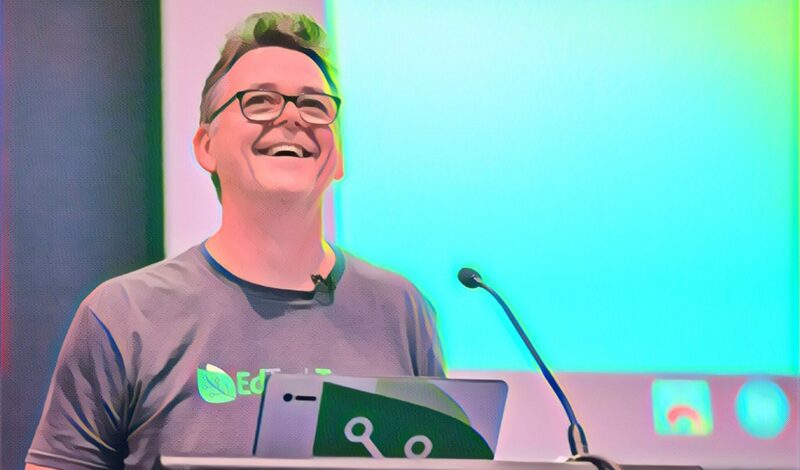 I just want to (edu)Blog! I really like Edublogs. James is a great guy, and the service he has put together is pretty awesome most of the time. So awesome in fact that I recommend it highly to any teachers who want to try blogging with their students. It has all the cool features, plugins and themes, as well as just being a really good blogging service. 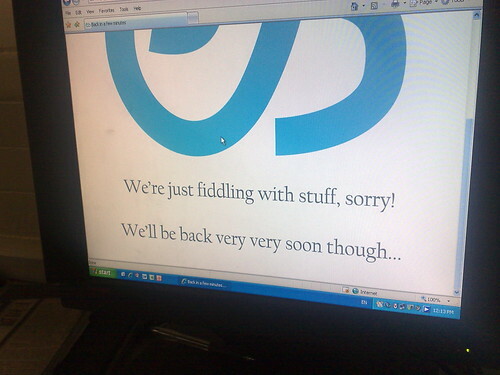 During the lesson the whole system then became unavailable and was supposed to be back online “very very soon”. I’m not sure what that translates to in minutes, but it went way beyond the end of our classtime. Now the kids don’t have another class till next week and we are nearly at the end of term and they have a major blogging project to try and complete. Very frustrating! I’m sure we’ll manage, and I’m sure there are people in the world with much bigger problems than having their blog provider be out of action for an hour or so, but still, in a school where I’m trying to win people over to technology – especially web 2.0 technology – it’s pretty frustrating when the same class seems to get hit with access issues over and over. Please Edublogs! I love ya, but can I have my reliability back! BTW, here are some comments from the Year 4 students… they are just as frustrated and can’t understand why they seem to have problems every single time they attempt to blog. I just want to (edu)Blog! by Chris Betcher is licensed under a Creative Commons Attribution-ShareAlike 4.0 International License. I don’t think my Year 9 class could have articulated their frustration any better than your kids here. Well done. I did read on my blog dashboard that Edublogs suffered a big DDOS attack which also crippled Slideshare for a while a month or so ago. Things like this are really beyond the Edublogs team’s control. Maybe the situation becomes a teachable moment to talk to the kids about how services on the web can be brought to their knees by malicious geniuses instead of just getting frustrated by it all. The reason why many teachers I work with will not entertain the thought of integrating more ICT, or more specifically blogging, is exactly as you describe, frustration with failed technology for a multitude of reasons. I agree, don’t criticise the free edublogs and other blog providers,I use them personally at home with minimal disruption BUT when my 8 high school classes are limited to one hour computer access per month we need the planets to align to ensure we don’t experience the frustration of the issues you describe. Those school systems that have 1 to 1 computer ratios or even reliable access to a computer room with numerous computers or even a few reliable computers in their own classrooms are way in front of many others. We’re essentially experiencing growing pains – more growth means more traffic, more development, more targets for spammers and DoS attacks and generally more everything. As a result we’ve taken on new staff (there are 5 of us now), are almost doubling our spending and investment on hosting (as well as moving to a new provider) and literally working 7 days a week making sure things are OK.
And we’re making progress too – today, for example, you should notice things working much more quickly. If youre looking for some of the things that are slowing this blog down specifically – twitter’counter, feedjit, sitemeter and sharethis are all contributing to a slower loading time – but you’ve inserted them individually. James, you know I have lots of blog love for you and Edublogs… It’s the only blogging service I use these days, and I’m a fully paid up supporter. I’ve dabbled with Blogger and WordPress.com, and I’ve looked at Classblogmeister and such but I keep coming back to EB because I like what you are doing with it. So yes, I’m a big supporter, you know that. Chris, I feel your pain. It does not feel good. I have had to put back my Year Nine blogging project. I simply did not have the time to password reset more than 60 student blogs that all had email ‘accounts’ that fed into a dedicated gmail account. The window of opportunity for access to the computer labs was missed…. Would that we could get past our failing infrastructure to even think of blogging! Being one of the leading tech districts 15 years ago, our backbone is quite literally breaking. The infrastructure is no longer enough to support the increasing interest and use of technology, so my tech classes (who are among the luckiest kids in the world to have a 40 minute period every single day) often sit there frozen as others in the school or district try to use the system. Yeah, I know that those other classes are the ones who are probably getting their once a month chance to use the lab, or the laptop cart, but you’d think that somehow there would be enough bandwidth for all of us??? I’ve been told that that will come — it’s in the plan — within the next 4 years! Thanks for sending me to this post of yours. Yes, this expresses the frustration quite well. Combine it with students working on their blogs from home at night (homework) and the umpteen emails to me as I’m coming home from a long day of meetings and I threw up my hands. How do I keep teachers “in the fold” taking these risks if service is unreliable? I totally get the growing pains situation, but Edublogs should do a better job of communicating with those who use it’s service. That would go a long way and help us manage workload and expectations. Thanks for all the comments everyone, and particularly to James for taking the time to reply. At the end of the day, I don’t think anyone would begrudge Edublogs for outages that help make the service better. And we understand unplanned outages can happen, especially if the service has been the target of something like a DDoS attack. I think the real frustration is when planned outages are not advertised, and unplanned outages are not explained. In the last few weeks, my Year 4 classes have had to reset their passwords three or four times (each class) and lost work when the system just went offline without warning. It is really frustrating and makes it hard to keep momentum and enthusiasm going. Even now on the Edublogs website I can’t find anything mentioned in the latest Edublogs news, or the Edublogger, or anywhere on the front page that mentions these rolling problems with passwords or offers any sort of explanation. That’s the really frustrating bit… that the system goes down and it’s just treated as normal. Previous PostPrevious Why is exceptional work treated as such an exception?